Even in the easiest adoption, I see remnants. Or, as my dear friend Jen calls them: hiccups. What I mean is that, there are often (Possibly even always…but who am I to extrapolate out so far? Hush now, I don’t always do that……ssshhhhh) little or big issues that crop up, develop, linger…even years down the pike. As with any kid, the trick is to figure out what is going on and why, and sometimes you’ll figure it out, sometimes you won’t. But if you have a child that was adopted, it might be worth reminding yourself that “hey, this might derive from way back in the beginning.” That said, however, another trick is NOT to attribute every single hiccup to being adopted too; that’s hardly fair or accurate. But sometimes, especially in those adoptions that really do go so smoothly, the easy ones where adjustment is short and seemingly smooth..it’s easy to forget that even later there might be things that crop up that still harken back to the beginning. 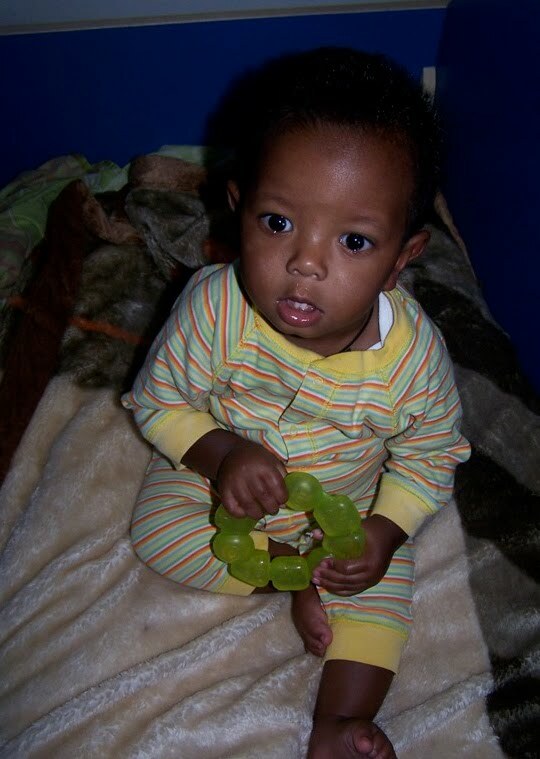 Gabey has something of a hard story; as do most if not all of the children adopted from Ethiopia (By definition, it comes with international adoption, that hard history). It was never stated that he suffered from malnutrition, and you wouldn’t guess it to look at him, ever. However I gotta wonder if my sweet baby boy was hungry. Because even though when he first got home he wouldn’t really eat solid food much – I”m sure it was too strange, everything was literally strange. He relied and craved a bottle of milk (We took him back to bottle to get him that cuddly imprinting time of bonding tucked into our arms and cradled close – he ate it up on all levels). That was his main source of calories for a bit, until he relaxed enough to be able to try regular chewing food as his mainstay. But we knew and expected that process. It didn’t surprise us and we went with it for the few months it took to adjust. No big deal. But, this summer, we have realized that this boy has no real “full” switch. He will eat, if he likes it, and keep eating until we stop him. He is “hungry” all the time. If he gets a tad bored (And what kid doesn’t?) he comes to me asking for food. He asks for his next meal as soon as he is done with his first. And I have decided that this is a remnant. It is also, surely, a favored activity if he’s bored…but he will ditch his trucks to try to find food. That’s significant; this boy loves his cars and trucks. But it is not because he is hungry – I think it’s something else. He can almost eat as much as his big brother Anthony – now that is really saying something. I don’t think it’s because he is just a glutton – he’s three; he can’t be that yet. I think it’s because he was hungry. he got hungry enough to feel that hunger that doesn’t quit. Thus, now, he has an impulse to eat. You could say that I”m projecting, I have no way of knowing. You’d be correct. I am. I don’t. But my mom’s heart and mind says this rings true. I think it’s a primal behavior. I think that he won’t get it through any explaining; not only because he’s young yet, but because it is almost subconscious. It is not a part of his higher reasoning that is firing – it’s deeper, down to a more primal/survival level. And yeah, he’s been home more than two years…he should know we will never let him go hungry. But you know, those deep down imprints from those tiny days….they impress deeply, long, lasting on a level you don’t get to with words or even a bunch of days. You need time upon time it seems. Happily, we have all the time in the world. We have a lifetime of dinners and lunches and breakfast with this happy boy. We will help him learn, gently and consistently, that food is available here, always. But we can help him learn to moderate that need, to redirect it, and to let it go with time and trust. Those are the real issues, no?? Always in adoption, even the early ones: time and trust. It all comes back to those, one way or another. T squared equals love, safety….family. 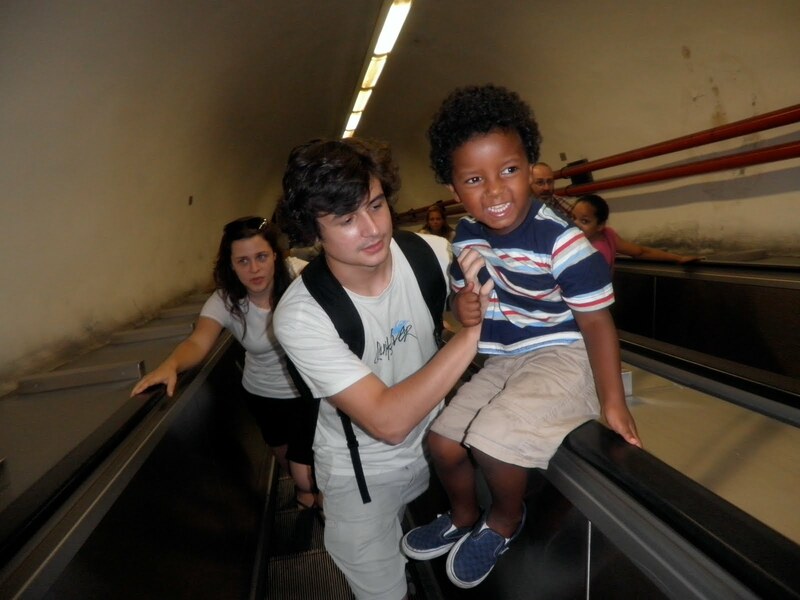 Up the subway escalator in Siena, fun ride! And it’s the only equation to help sweep away the dusty remnants. 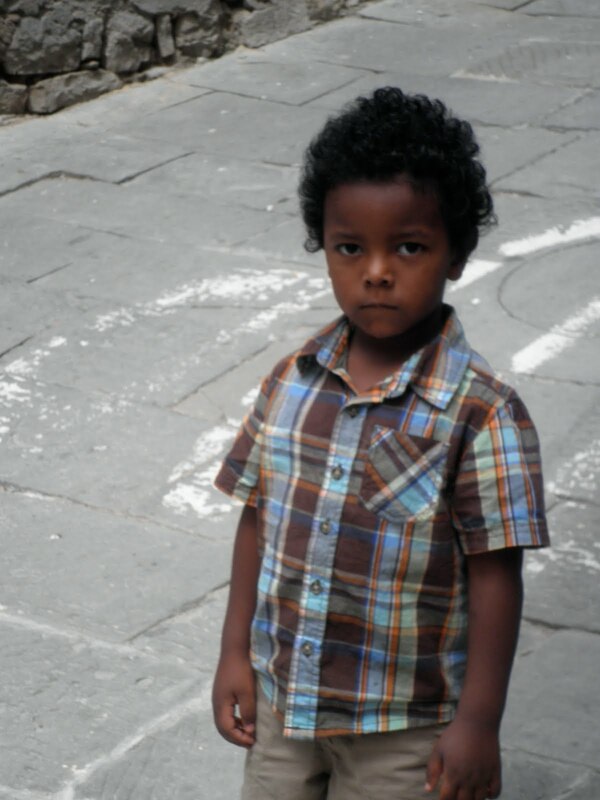 This entry was posted in adoption adjustment, toddler, toddler adoption by coffeemom. Bookmark the permalink.